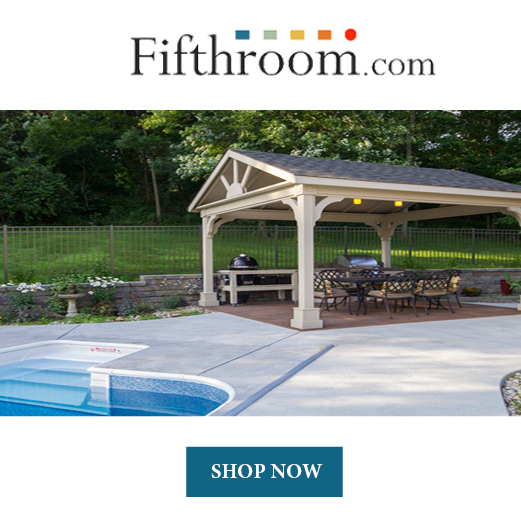 Garden usually serve two main purposes. One of them is to use it as a decorative space in which you can plant flowers and ornamentals plants. Hence, it provides a relaxing environment most suited to help you unwind after a long day. Also, you can choose to grow a wide variety of 100% natural vegetables and fruits to serve as an organic food source for a healthy lifestyle. This gardening tools list comprises the most useful utensils in order to take care of your private green corner in the best possible way. There are a lot of factors that come into play when it comes to maintaining a healthy crop. The most important one is definitely the weather. Seeing that we are not able to control it to fit our needs, we must adapt. This is the reason for which a gardener must benefit from a collection of different tools, fitted for every season. You will find in this gardening tools list the most suited ones to help you maintain a healthy garden all year round. This first item on our gardening tools list is an absolute necessity that can ease your job when it comes to a wide variety of chores. 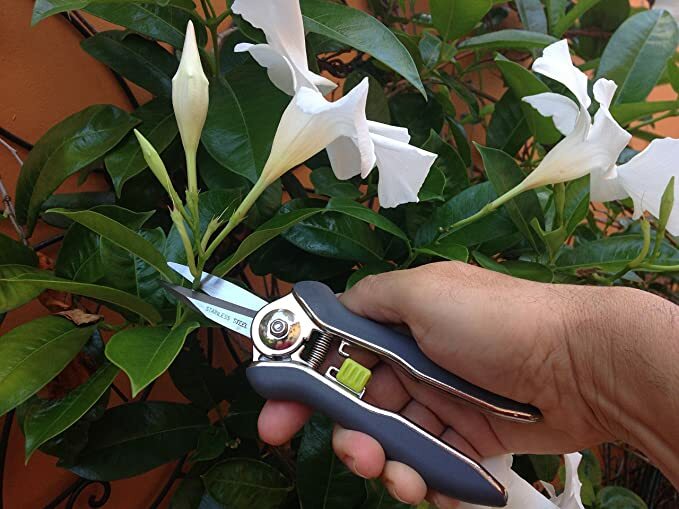 Basically, the pruning snip is a pair of pro scissors when it comes to trimming, deadheading flowers, snipping herbs or harvesting small vegetables. If you do not have this around, you should consider getting yourself one. However, if push comes to shove, you can also use a regular pair of scissors that can deliver the same results. At least, in the beginning. Try not to rely on cheap alternatives, if you want the best results. Furthermore, you can find this particular item at an affordable price at your local gardening store. 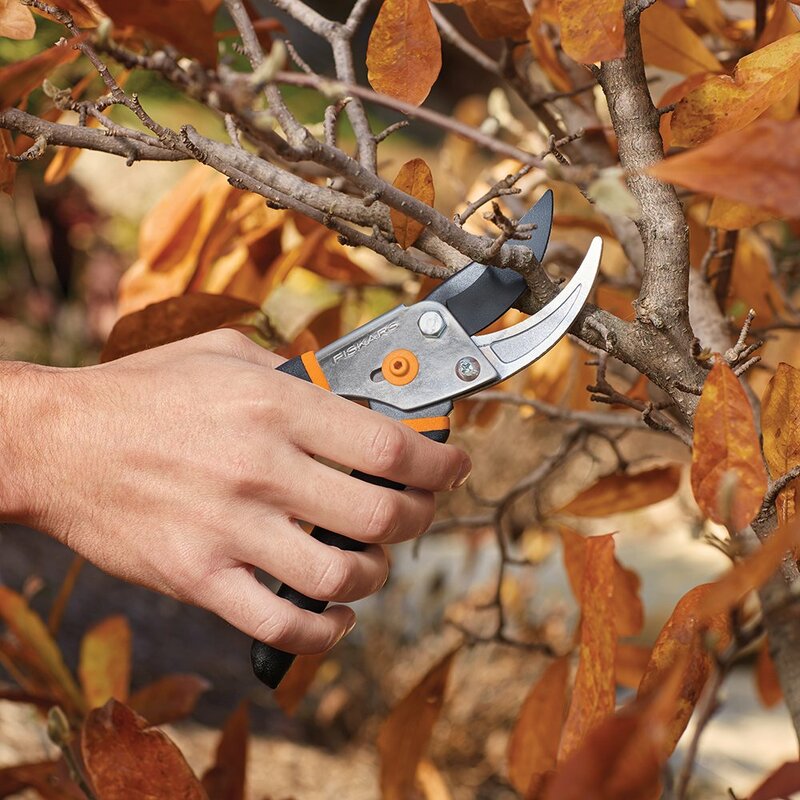 Unlike the pruning snip, this item is much sharper and much more suited for heavy duty trimming. It can cut up roots and tree branches up to two inches thick. You will find this very useful when you decide to prune some woody clumps of perennials. 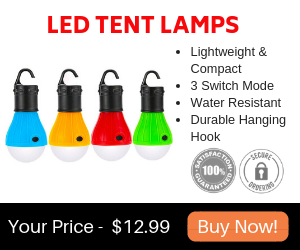 Also, they benefit from a lightweight and easy maneuverability. All in all, together with the pruning snip, this will make for a nice addition when it comes to garden utensils. Also, you will get the job done faster and with less effort. Although many people call this item by a lot of names, this is more commonly known as a dandelion digger. The name comes from the fact that you can use this in order to pry up all sorts of weeds with taproots like dandelions or crabgrass. It is great at its job because it benefits from a long and slender business end. It resembles a two-tine fork merged together with a notched screwdriver. This shape is perfect when it comes to penetrating the soil and consequently removing roots from deep in the ground. Hence, the narrow and sharp fork points allow you to surgically coax out annual bluegrass, wood sorrel or spurge that reside in the ground covers. 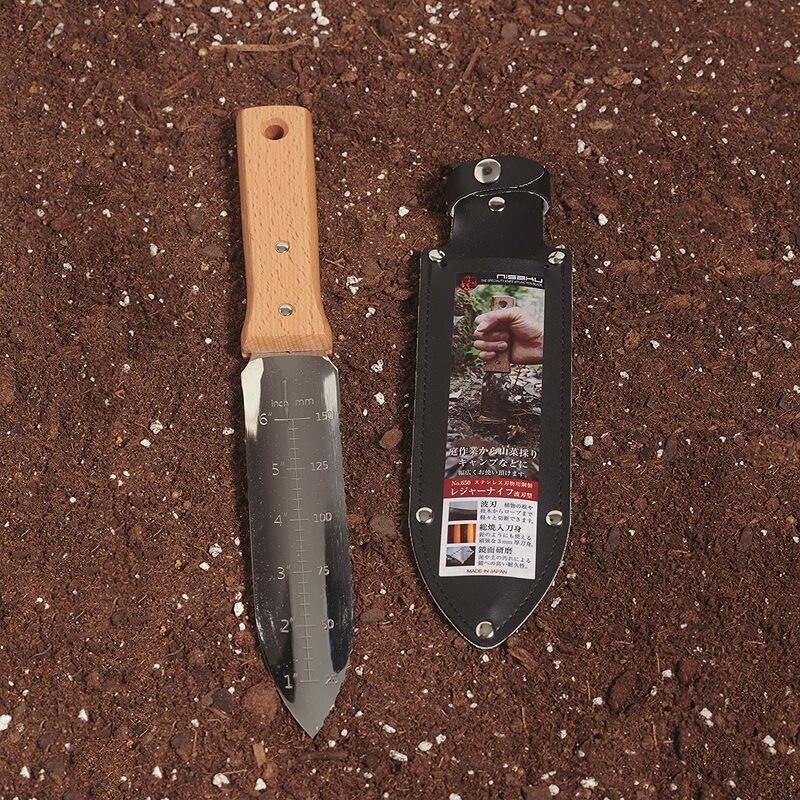 The soil knife or Japanese Hori-Hori is an absolute favorite among a large number of dedicated gardeners. You can use this Asian stainless steel gardening utensil to slice through sod, cut roots, divide perennials, or remove a bonsai plant from its pot. It benefits from a concave blade with a serrated edge on one side and a sharp edge on the other. 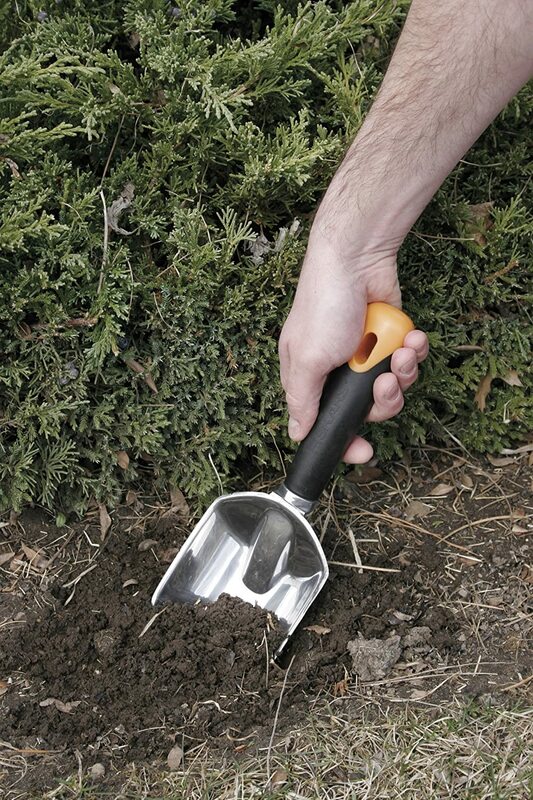 Using this, you can also easily dig a hole in the ground because of the multitude of purposes this great tool serves, it is a must on every landscaper’s gardening tools list. Also, you don’t have to take out your entire gardening kit every time you need to do some light maintenance on your green space. Shovels are essential not only to a garden but in any household, for that matter. 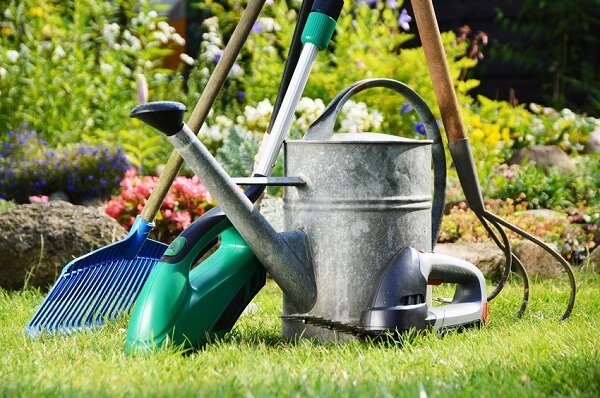 However, when it comes to digging holes in the garden, in order to plant seeds or even fully-grown plants, you will need some tools that are specially fitted for these jobs. 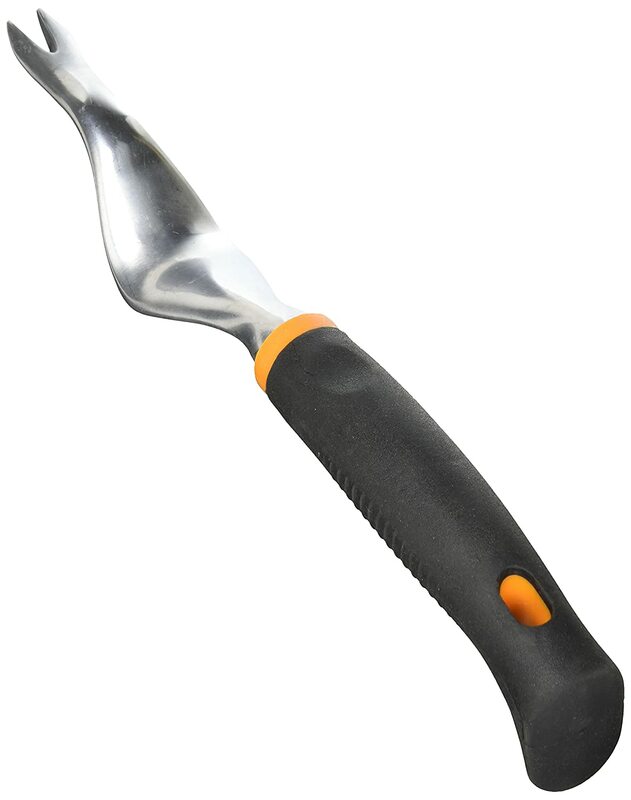 The “sharpshooter” a compact shovel that features a long narrow curved blade. You can use it in order to dig deep into the ground. Also, you can even sharpen the blade to make it even more efficient. Another favorite among gardening enthusiasts is the Kombi shovel. It might look more like an ancient weapon than a gardening tool. However, its jagged edges are useful when it comes across compacted soil or tough roots. Next up on in the mattock. It comes in two sizes. You can purchase yourself a hand-held mattock which is great for digging in clay or removing stumps from the ground. Also, you can use the larger version for some heavy duty chores. As surprising as it may be, you can also use a snow shovel in your backyard in the warm season, it is best if you want to spread mulch, put on topdressing or scooping debris. If you benefit from a large space and choose to plant some trees in your garden, some pull-to-cut saws will come in quite handy. They are great for cutting through thick branches fast. Also, you can use them to cut down some small weedy trees, as well. However, a fair number of gardeners go for the bow saw. 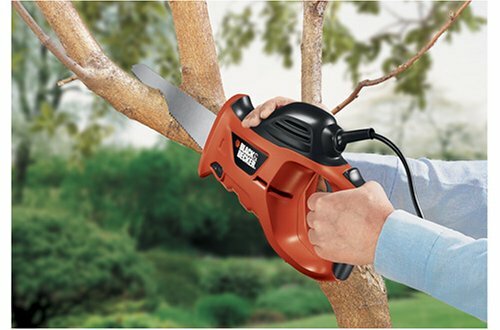 It is very easy to use when it comes to shaping trees, clearing out undergrowth or pruning. If you need to move around with ease, then the folding saw may be the best choice for you, due to its portability. In the end, you need to choose the type of saw that best fits your needs. before you set out to buy one, you need to have a clear image of how you want your garden to look. Depending on this, you can then choose the most useful tool that will help you achieve your goal. The first thing that pops into everybody’s minds when they hear “garden” is a vivid image of rakes. However, few people understand that not any rake is best for their private green corner. Like with saws, there are several types of rakes that serve different purposes. For example, you can use the shrub rake in order to fit in tight spaces where a more common fan rake wouldn’t normally reach. The fan rake is better suited when it comes to gathering leaves, mulch and other debris. The hard rake is best for moving soil and compost. Also, you can either smooth out the ground with it or mix different types of soils for a more nourishing ground bed. 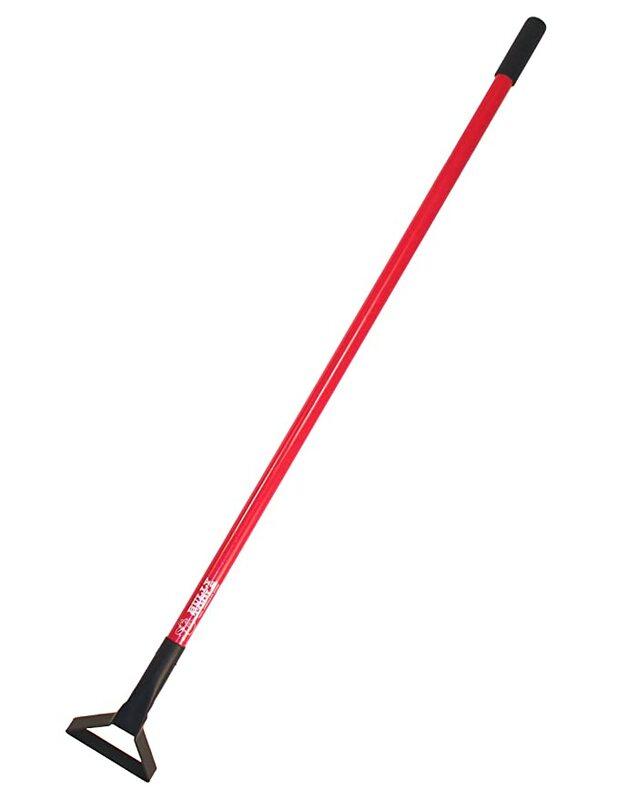 A loop hoe is a great tool for tidying up the ground bed. You can easily slip it beneath the top layer of the soil and scrape roots out of the dirt with almost no effort spent. The way to do this is by using a back and forth motion. Another great feature is that you can use it to cultivate the superficial layers of the soil. Also, this provides an easier way to mix some fertilizers or compost into the ground, without disturbing the more in-depth layers. It will come in handy, especially if you want to add either compost or fertilizers to a ground bed already planted or remove overgrowth or unwanted weeds. This is a must on your gardening tools list when it comes to light maintenance. 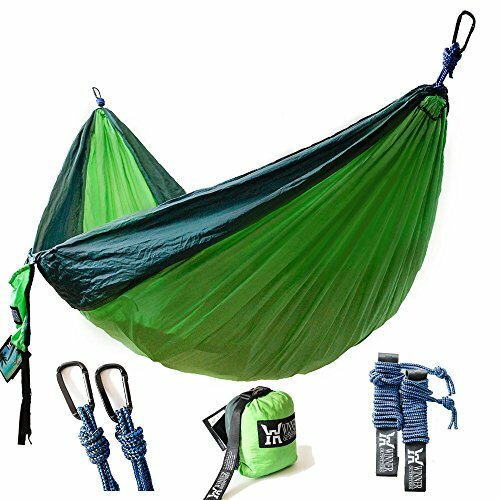 Because of its shape and size, it is highly practical, easy to use and easy to move around with. For such a small utensil, it serves a wide range of purposes. On that note, you can use it to plant young bulbs or plants, for weeding or small digging jobs. However, small tools get easily misplaced in a garden. In order to avoid losing yours, look for one that features a brightly colored handle. If not, paint the handle yourself in order to make it stand out. This way you will never have to waste time looking around for the hand trowel, instead of getting down to business. Whatever you do, make sure to look out for your safety first. There is no need to further emphasize how much importance proper safety equipment can benefit your health. On that note, make sure that every time you go out to attend to your garden in the warm season you wear a hat. This will help protect you from sunstroke or other serious skin conditions that you can develop. So, take care of yourself and do not overlook this advice. Working with dirt all day long can have a significant impact on your hands. Because of this, purchase some gloves. Depending on the job you can either use washable synthetic gloves, latex-coated cotton gloves or leather gloves. Generally, you would want to use the latter when dealing with tough jobs such as digging holes, trimming or clearing bushes. Also, a kneeling pad is great, since you have to get down on your knees when dealing with tasks such as weeding or planting bulbs and roots. Gardening can be a fun thing to do, especially if you are the kind of person that finds a great deal of joy in active relaxation. Also, if you decide to stick to a diet and grow your own vegetables and fruits, this article that features the best gardening tools list for all seasons will prove highly beneficial to you. No matter the case, together with your knowledge accumulated so far, these utensils will help you ease your job and achieve your goals faster. However, do not overlook safety measures. In order to maintain your garden evergreen, it is necessary that you take care of yourself first. On that note, the next time you find yourself at the store looking for supplies, make sure to buy some protection equipment as well.